Take a walk into times of old, where pharaohs roamed the land in Queen of Riches, the Egyptian in a long line of ancient Egypt themed slots (there’s a lot of them). 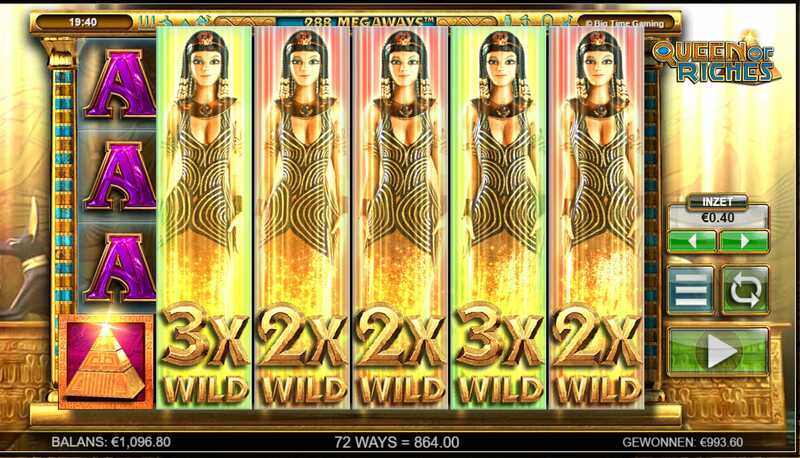 This is a new online slots game that is quite clearly inspired by queen Cleopatra, a very powerful queen who is still spoken of today. Queen of Riches is a 6 reel by 20 pay-line slot from developer Big Time Gaming, a staple in the online gaming community for various reasons, reasons that would require its own page if we were to note down everything. This is not like any other Egpyt themed slot that you’ve experienced before, don’t judge this book by its cover, doing that would be very foolish indeed. Queen of Riches online slots games can be played across various devices including both mobile and desktop, making it quite the modern slot indeed. Have you heard of Australian game dev Big Time Gaming before? Well if you haven’t maybe now’s the time to start doing your research. This dev team work on creating experiences that leave lasting effects, positive lasting effects that stick with you even after you’ve turned away from your phone or desktop. The lasting power of these guys are incredible. In-fact Big Time Gaming have a clientele that spans multiple countries and cultures, this is the power of Big Time: the ability to break down boundaries and supply slots for all of us; it’s a selfless job it seems. Get the best out of our online slot bonuses before you play the game! 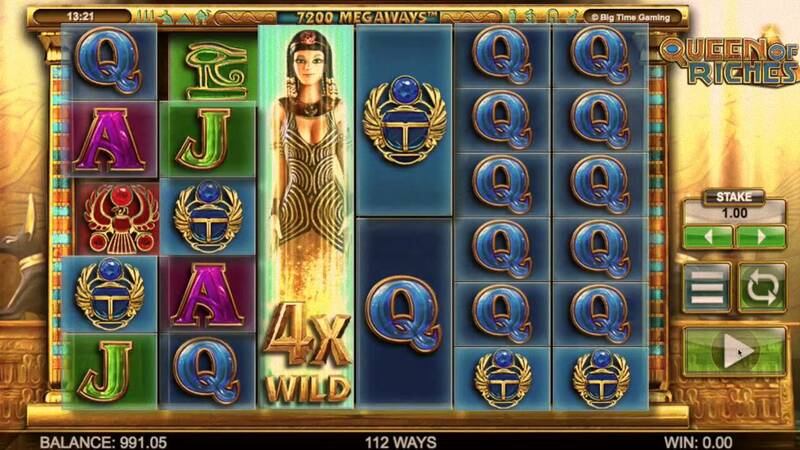 Most online slots tend to be capped in terms of the amount of winning combinations one can build across spins. In Queen of Riches there is a total of 117,649 different ways of winning, which essentially means that with every spin you will welcome a different combination, you will very rarely find two spins the same, which is very refreshing to see if you don’t mind us saying. Players wanting to go after the big money should look for the mageaways feature, a feature that is activated whenever two or more identical symbols appear on two different reels. If this should happen then you will see your scores automatically double, almost as if the symbols were admiring themselves in the mirror. We should also mention that wild and scatter symbols are featured here so don’t worry.